…and let me tell you, this one is a total lover, not a fighter! If you want to know more about the Ood from Dr. Who, read this. 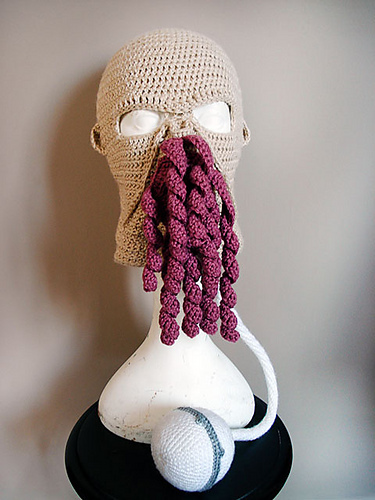 Image courtesy of Lilana Wofsey — yes, it is a crocheted Ood ski mask. He’s never worn it, though. I thought of it as a challenge to make and boy was it ever. Give it a shot if you’re up for a challenge. 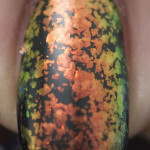 Colors by Llarowe The Ood is described on the llarowe.com site as “Red tinted sheer based red to yellow flake with added copper shimmer.” I have to say that this was layered over a black polish, my standard Sephora Brand X Dark Matter. I also layered it over a white polish – Sephora Brand X White Matter. I did sponge on polish – one regular coat over the black, then sponged a layer and then another regular coat over the sponged layer. I find that with flakies, they are best sponged for the full effect. However, when applied like regular polish, they are equally just as stunning. I found that when I layered this with three coats, it’s also just a stunning polish all on its own. 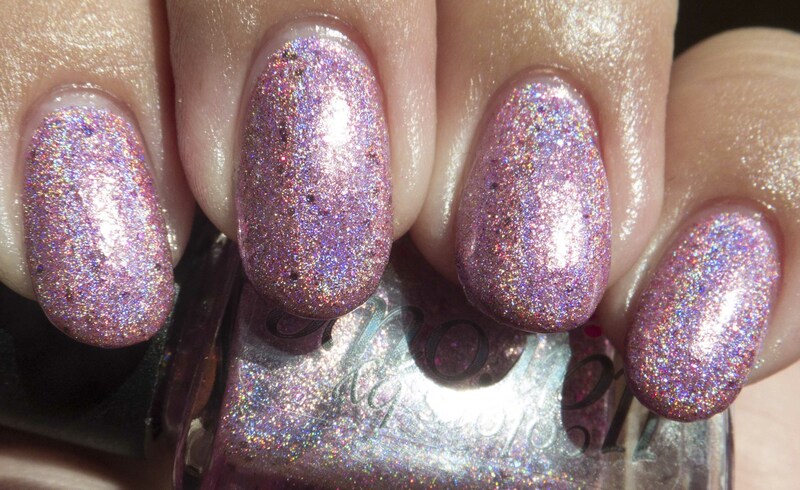 I found this polish to be like most Colors by Llarowe colors – quick drying and just gorgeous to look at. Am I biased? Heck yeah!!! 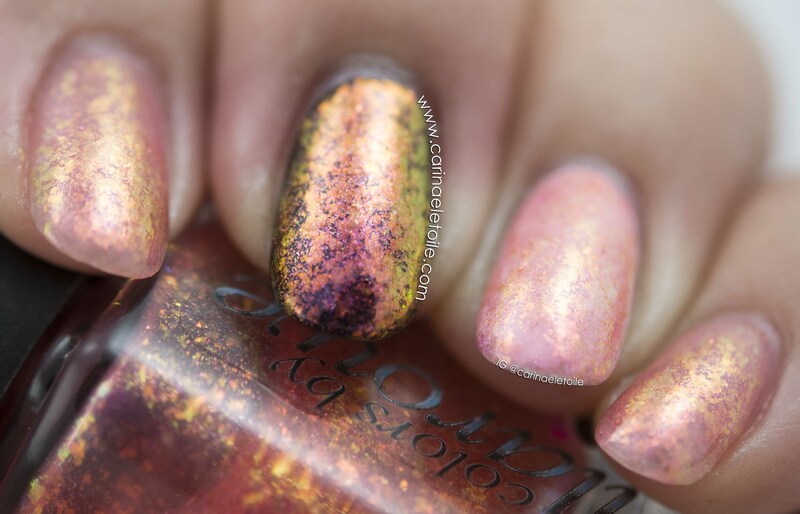 Come see why I have this massive love for Colors by Llarowe. 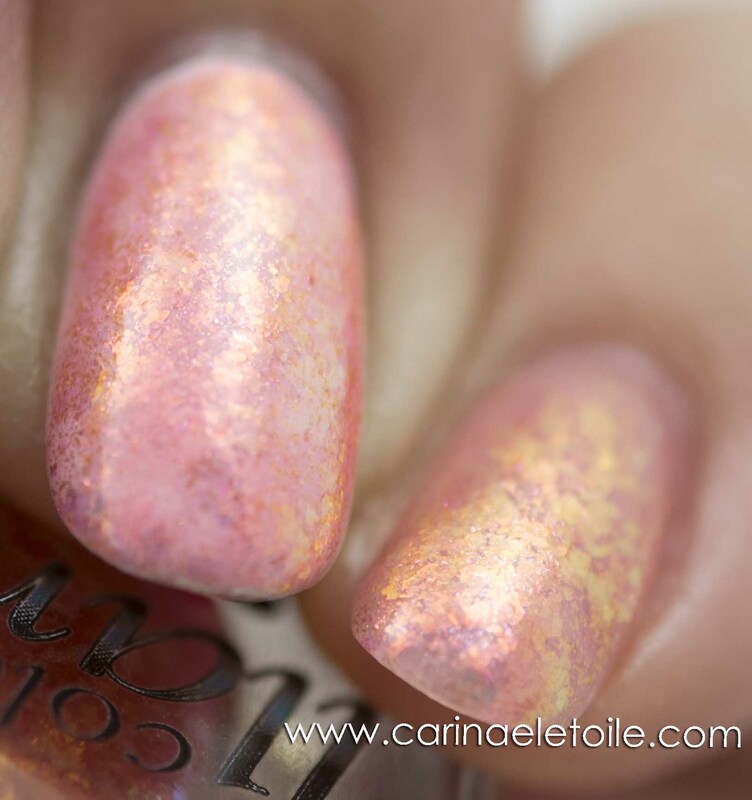 Colors by Llarowe The Ood – Diffused Light. Left finger (ring finger) with Colors by Llarowe The Ood layered over white; right finger (pinkie) is the polish on regular nail. Layered over black. How gorgeous are these colors? 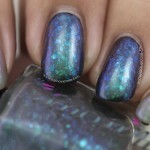 Now that you’ve seen this, do you feel you need Colors by Llarowe The Ood in your nail polish flakie collection? 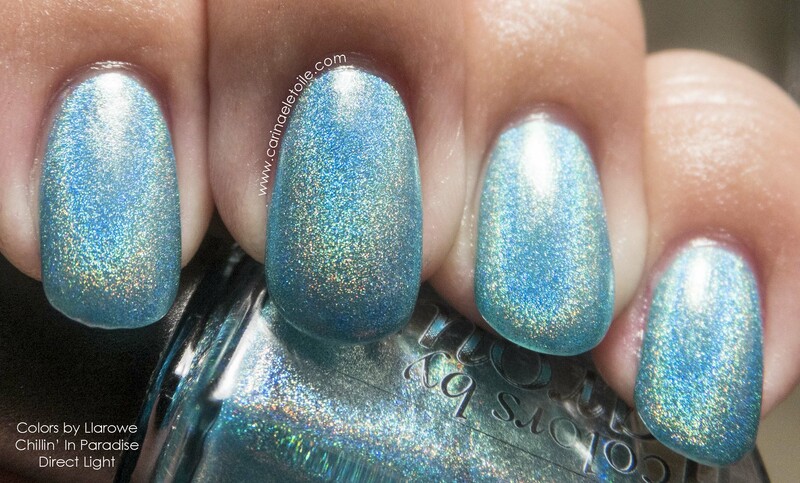 Oh my word – I would never have thought to sponge a flakie polish, now I will be. These are stunning pcitures! Ok, that Ood mask is too much fun. I would never be able to make that so I appreciate anyone who has that talent and patience! Aren’t they?! I applied to bare fingers for pointer and pinky, then middle with black and finally ring finger was applied over white. 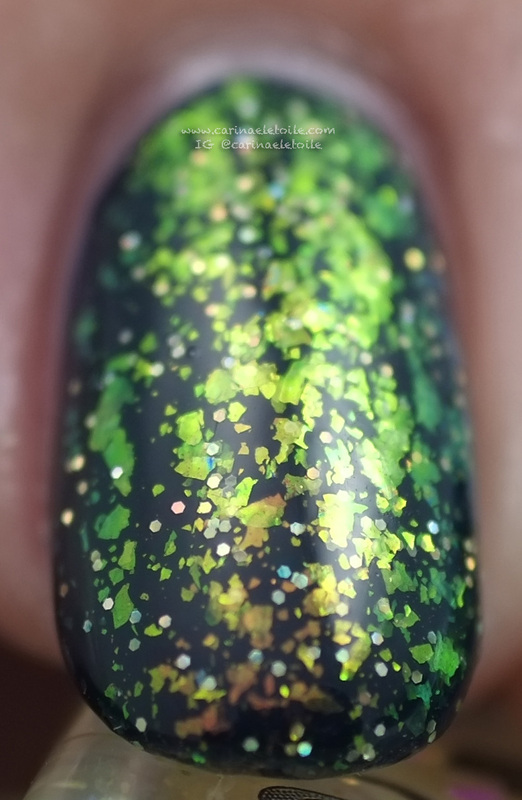 I really love these flakies. I have so many more to swatch, too!